Rep. Stephen Lynch (D., Mass.) disclosed that a congressional investigation recently found that at least 72 people working at DHS also "were on the terrorist watch list." "Back in August, we did an investigation—the inspector general did—of the Department of Homeland Security, and they had 72 individuals that were on the terrorist watch list that were actually working at the Department of Homeland Security," Lynch told Boston Public Radio. 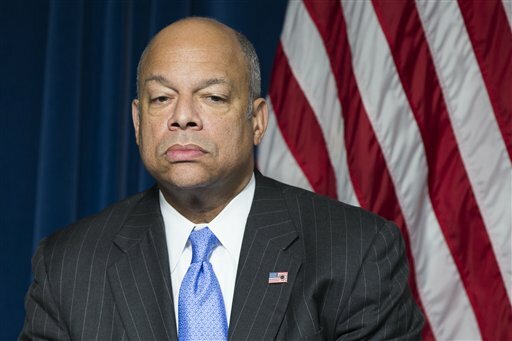 "The [former DHS] director had to resign because of that," he said. DHS continues to fail inspections aimed at determining the efficiency of its internal safety mechanisms, as well as its efforts to protect the nation. Lynch referred to a recent report that found the Transportation Security Administration, which is overseen by DHS, failed to stop 95 percent of those who attempted to bring restricted items past airport security. "We had staffers go into eight different airports to test the department of homeland security screening process at major airports. They had a 95 percent failure rate," Lynch said. "We had folks—this was a testing exercise, so we had folks going in there with guns on their ankles, and other weapons on their persons, and there was a 95 percent failure rate." Lynch said he has "very low confidence" in DHS based on its many failures over the years. For this reason, he voted in favor of recent legislation that will tighten the vetting process for any Syrian refugees applying for asylum in the United States. "I have very low confidence based on empirical data that we’ve got on the Department of Homeland Security. I think we desperately need another set of eyeballs looking at the vetting process," he said. "That’s vetting that’s being done at major airports where we have a stationary person coming through a facility, and we’re failing 95 percent of the time." "I have even lower confidence that they can conduct the vetting process in places like Jordan, or Belize or on the Syrian border, or in Cairo, or Beirut in any better fashion, especially given the huge volume of applicants we’ve had seeking refugee status," Lynch said. This entry was posted in National Security and tagged DHS. Bookmark the permalink.